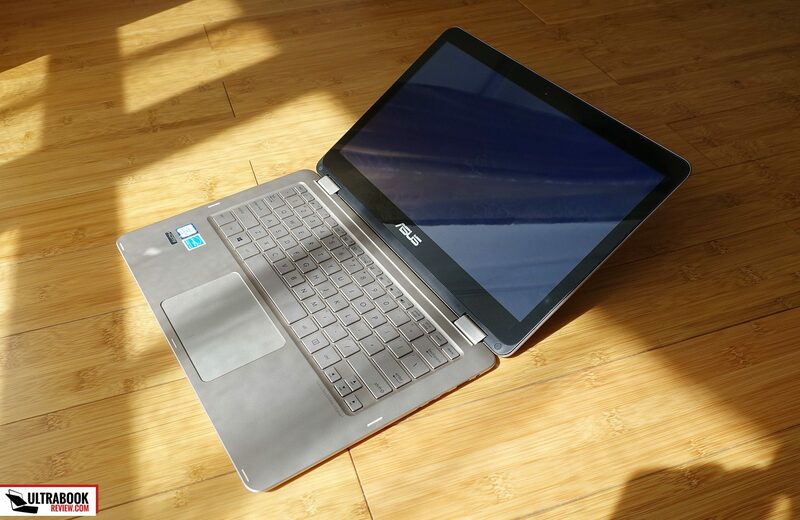 Summary: If you're after a sleek and light convertible laptop, don't have a big budget and only want to use it for basic everyday tasks like browsing, watching movies or editing documents, the Zenbook UX360CA is the right pick for you, especially if you're living in the US, as it is more expensive elsewhere. Just keep in mind this is not a very powerful computer, it lacks a backlit keyboard and is not going to handle outdoor use great either, due to its rather dim display. Read the review below for more details. I’ve spent a few days with the Zenbook Flip UX360CA, one of the most popular ultraportable laptops with a convertible screen on websites like Amazon or BestBuy, and I’m going to tell you what I think about this device in the following paragraphs. 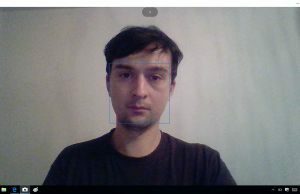 Before we start though, you should know that the UX360CA is not going to be a good fit for everyone. First, it’s a convertible with a glossy touchscreen, so if you’re after a traditional laptop with a matte screen, this is not for you. 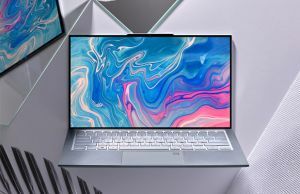 Second, is built on Intel Core M hardware, which makes it fanless, but at the same time not as powerful as some of the other options out there, so you should only get this for casual daily activities (browsing, text editing, multimedia content, music) and limited multitasking. Third, but definitely not least for some of you, this laptop lacks a backlit keyboard. On the other hand, the Zenbook Flip UX360CA starts at $699 in the US, with beefier configurations selling for up to $1000, and this kind of money won’t buy you any other sleek and light 13-inch convertible. 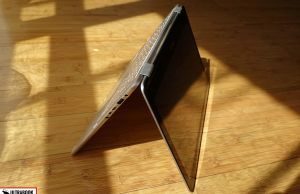 The alternatives are either more expensive (like the HP Spectre x360 or the Samsung ATIV Book 9 Spin lines), either bulkier and heavier (like the Dell Inspiron 13 700o or the Asus VivoBook Flip lines), or available in detachable form factor (like the HP Spectre X2 or the Lenovo Miix 700). 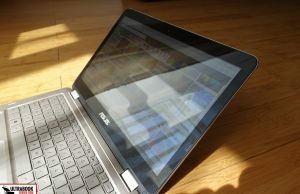 With all these out of the way, if you’re still interested in the Zenbook UX360CA, here’s what you should know about it. 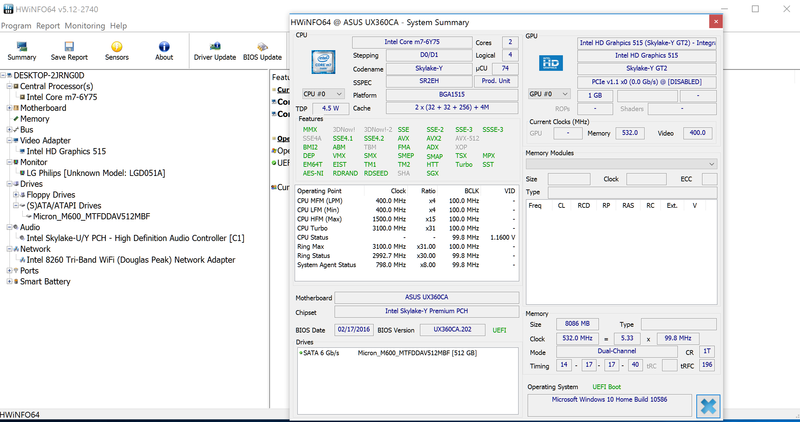 Our test unit is built on a Skylake Core M hardware and gets a Core m7 processor inside. 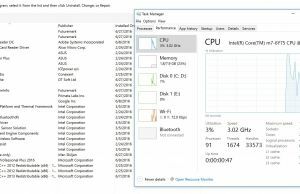 Most Skylake configurations are available with a Core m3 processor though, which runs slower, but at the same time cooler. The Flip UX360CA is also scheduled to get a KabyLake update in Q3 2016, with Core m3-7Y30 and possibly Core i5-7Y54 and i7-7Y75 processors. 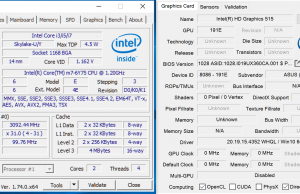 Aside from slight performance improvements though, the Skylake and Kabylake models are identical, so you will find this article useful even if you read it later into 2016 and 2017, especially since we’ll update the sections covering the performance, emissions and battery life once the Kabylake variants are available and we get to test them. This laptop looks good and fells quite well built. It gets a plastic inner frame, like most other Zenbooks, but most of the exterior is metallic (except for the underbelly, which is also made of plastic) and fairly sturdy. There’s some flex in the lid and keyboard area, but I can look past this, considering this is a mid-range convertible and only weighs around 2.95 lbs (1.33 kg) and is 0.55″ thick (14 mm). 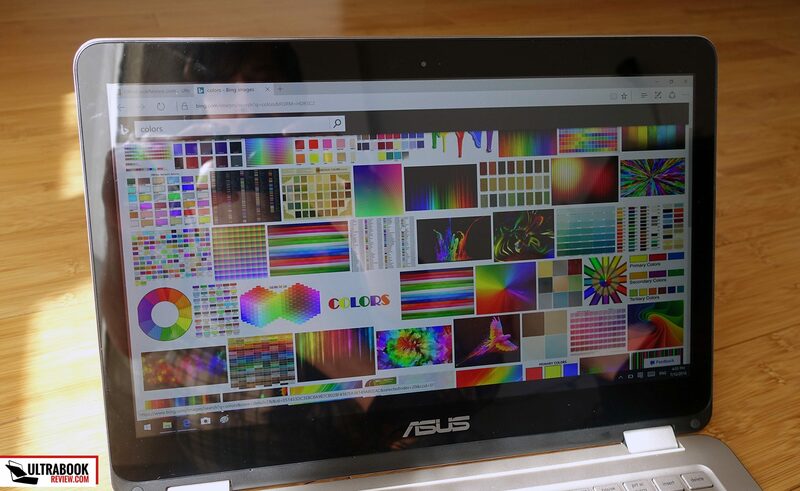 Asus offers the laptop in two color schemes, one lighter and another one darker. We got the former and I liked the overall aesthetics and the fact that it doesn’t show smudges easily. Just keep in mind that it gets a slight Gold tint, so it might not be right up everyone’s alley. The lid cover will scratch fairly easily though, so you should treat this machine well, but the interior finishing is fairly rough and feels like I can take some beating. 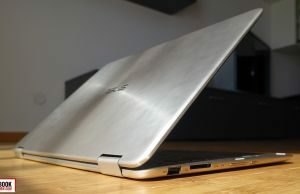 That aside, the UX360CA looks and feels pretty much like a Zenbook, with similar design lines, nicely rounded corners and blunt edges that won’t leave marks on your wrists. 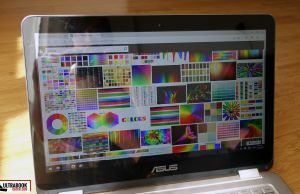 One of this laptop’s main selling points is the convertible form factor, which means that its screen flips all the way to 360-degrees on the back. 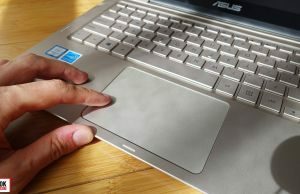 The keyboard and trackpad are automatically deactivated once the screen goes past 180 degrees. Two hinges are in charge of the process. Transitioning between modes is mostly smooth, but the hinges are not really strong enough to hold the screen well in place once you set it up at a certain angle. 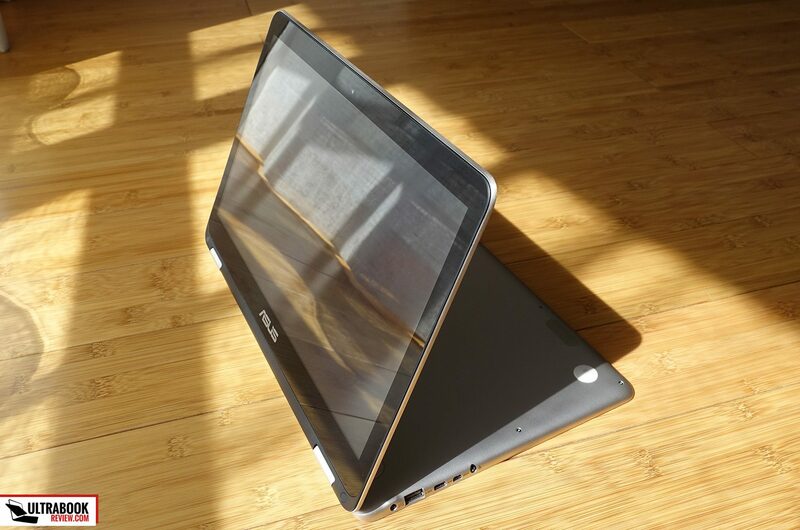 You’ll feel that especially in laptop mode when using the touchscreen, as it will wobble a little bit, and when moving around with the laptop open and the screen will just flip to around 180-degrees. 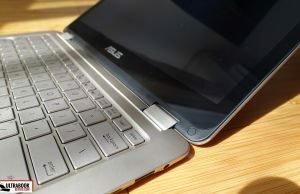 For me that wasn’t a major issue, but if you’re constantly moving around with your laptop or enjoy using the touchscreen in notebook mode, it might be for you. 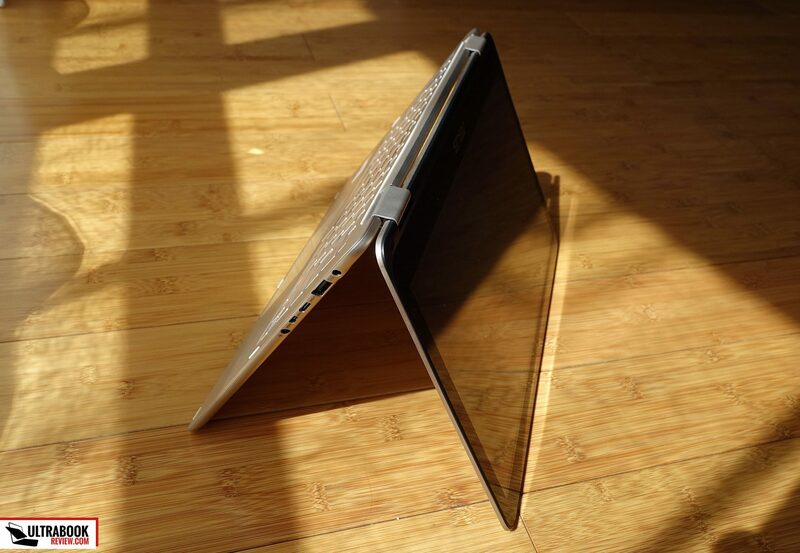 On the practical side, this laptop offers a roomy interior and slim profile, so is comfortable to use everyday. The fact that the screen leans flat also makes it a good lap and couch buddy, for those of you who don’t always keep their computers on a desk. 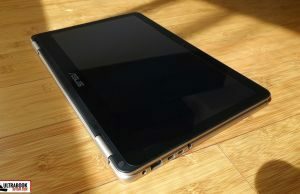 On top of this, the way the screen side fits on top of the bottom half in tablet mode makes this computer a far more comfortable slate to hold and use than many other 2-in-1s out there. 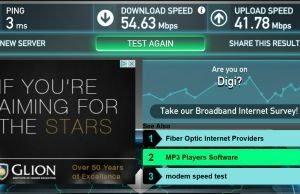 The IO is decent, not great. There are two USB 3.0 slots, one USB 3.1 1st gen connector, a card-reader, a headphone/mic jack and a micro-HDMI port for video output, so you’ll need an adapter to output content onto a bigger monitor. The USB 3.1 slot is not Thunderbolt 3 compatible and most of the connectors are placed on the right edge, which cab be a problem if you connect multiple peripherals and also use a mouse at the same time. We haven’t mentioned the underbelly till now, so let’s flip the laptop over. You’ll find four rubber feet here, with those on the back a little taller than the front ones, which give the laptop a slightly inclined position for more comfortable typing. There are no air-intake grills, as expected since this is a fanless device, but you will notice the two small speaker grills placed towards the front. 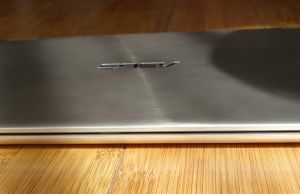 Overall this Zenbook looks and feels really good for a computer in this price range. Yes, it’s not as sturdy as some of the more premium options, but I feel it’s well built enough and the average user will really appreciate its lines and aesthetics. Hopefully the hinges will prove reliable over time, as this could be the only construction flaw that might ruin your experience down the line. Haven’t heard anyone complaining till now, so fingers crossed. The UX360CA types well, although you will have to get used to the flex in the chassis. 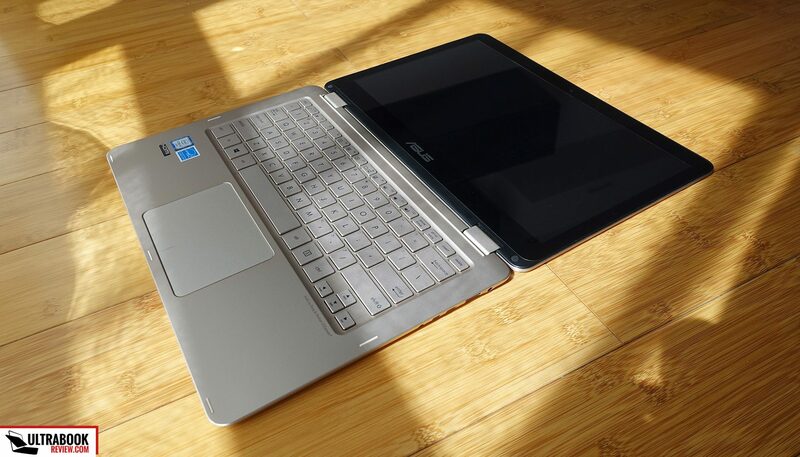 The Gold version of this Zenbook gets a light-colored keyboard, with little contrast against the background, while the Gray version gets a black keyboard. 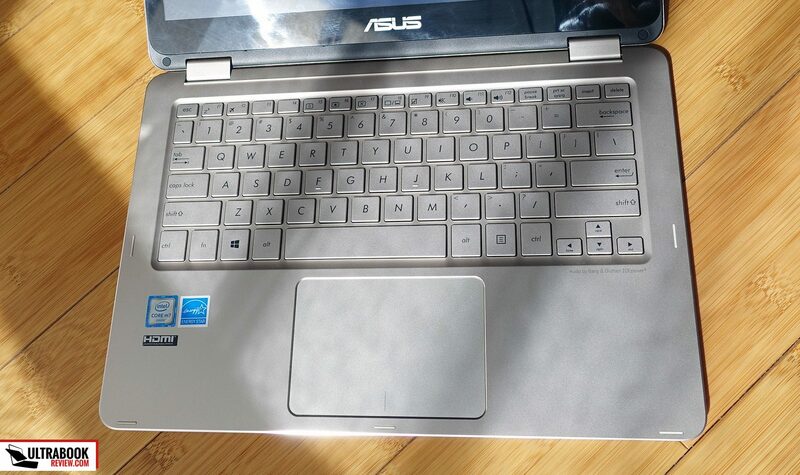 There’s little to complain about the layout and I especially like that the keys are rectangular, a little wider than taller, just like on the Zenbook UX360UA. The feedback is really good as well for an ultraportable, as the keys are firm, have a precise click and travel 1.5 mm into the frame. 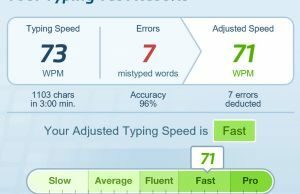 What this keyboard lacks though is a back-lightning system, and that could be a deal-breaker for many potential customers and it’s in fact this laptop’s single major drawback. 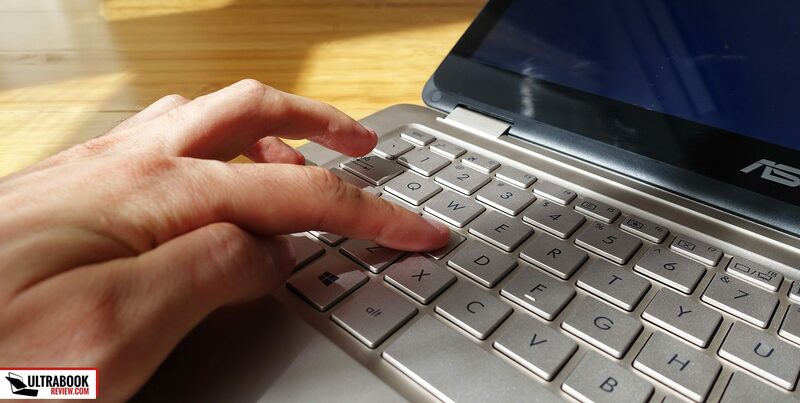 The keys are also a little on the noisy side, especially the Space key rattling on every tap, which can be annoying if you spend most of the time in the library or other very quiet places. 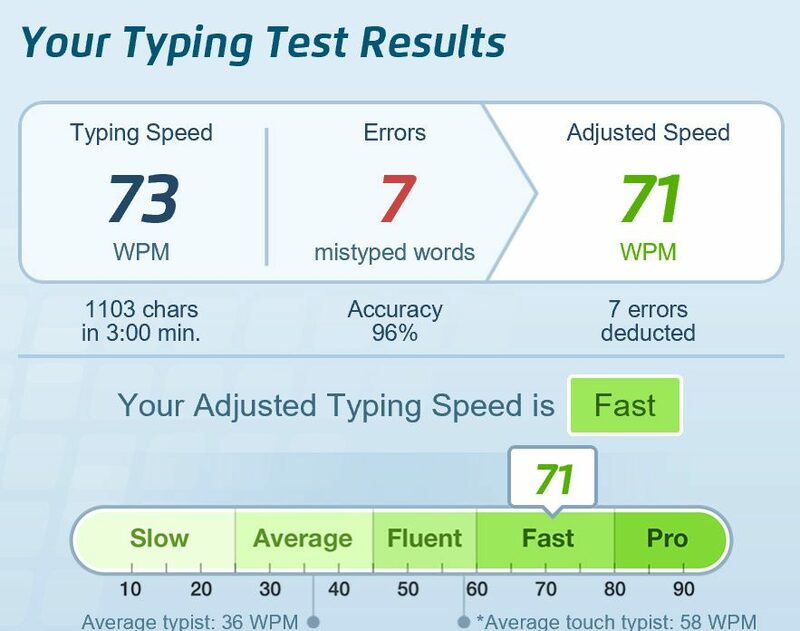 The touchpad is placed beneath the keyboard and it performed mostly alright in my tests. 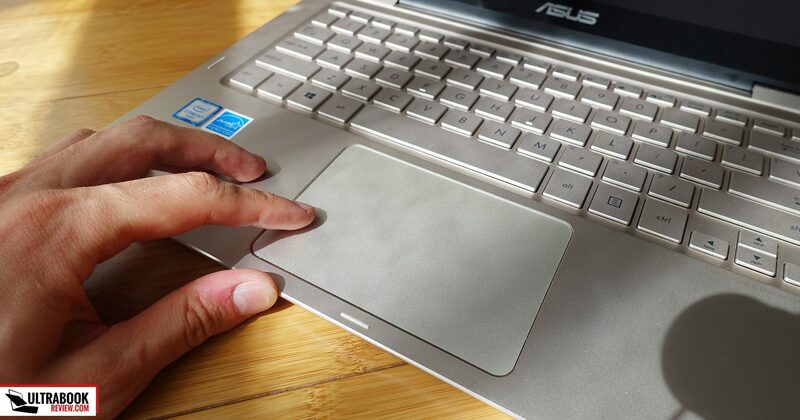 However, I found that trackpads on Zenbooks are a hit and miss, you can either end up with a solid performer, or with a dud, and based on some of the user reviews on Amazon, there’s actually a chance you’ll draw the short stick, as some complain about a jumpy cursor. If you’re not one of the unlucky ones you’ll get a good surface with a smooth texture and accurate behavior, able to handle taps and gestures just fine. Physical clicks are rather stiff though, and since this is a Microsoft Precision surface, there are few customization options available. 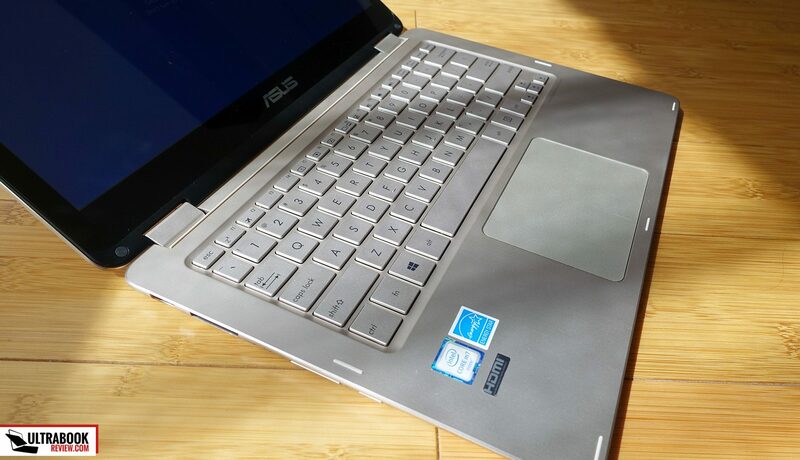 Asus offers the Zenbook UX360CA with either 1920 x 1080 px or 3200 x 1800 px touchscreens. We have the latter on this review unit, but since most configurations available online get the FHD option, you’ll find details about this one further down. 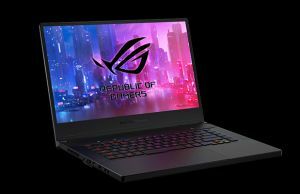 After all, this is the option I recommend getting on this laptop, since it takes a lower tall on performance and battery life and is more affordable. 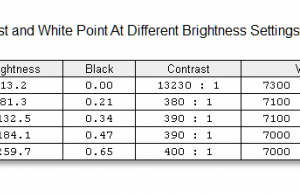 The FHD screen variant gets an AU Optronics B133HAN02.7 panel and according to this review, it offers a maximum brightness of 300 nits, 1400:1 contrast (due to the excellent black levels) and fairly accurate colors. 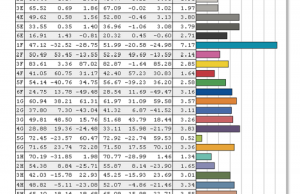 Keep in mind that PWM was noticed when the screen’s brightness was set below 30% (under 100 nits). 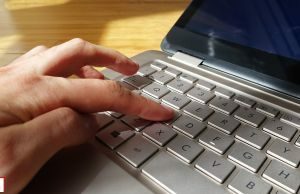 You’ll normally not keep the brightness as low in daily use, but if you use your laptop in very dim environments this particular aspect could be a concern. 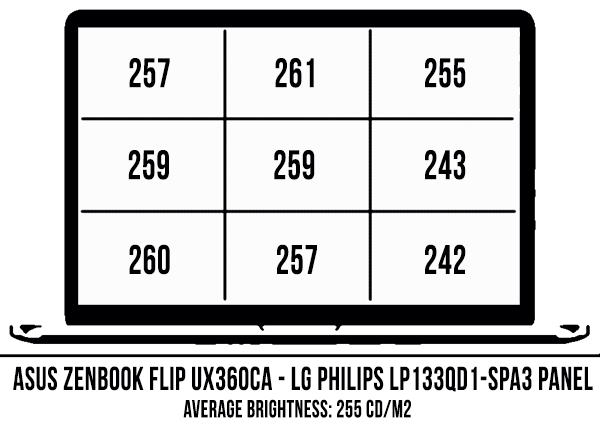 The QHD option we have here gets an LG Philips LP133QD1-SPA3 panel, dimmer (260 nits) and with a poorer contrast (400:1). 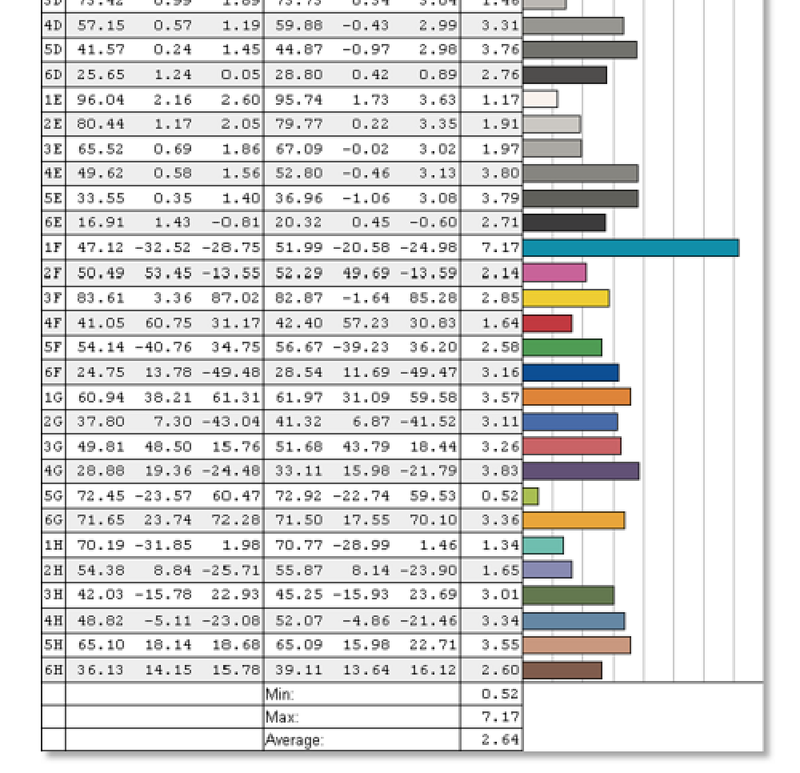 The colors aren’t completely accurate either, but you can use our calibrated color profile to somewhat address them and the slightly skewed gamma. 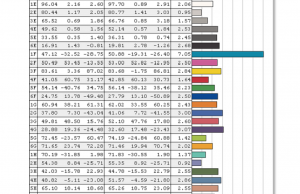 Average DeltaE: 2.64 uncalibrated, 2.19 calibrated. Beside these, given the glossy nature of touchscreens and the rather dim panels, both the QHD+ and the FHD options are difficult to use in bright-light, but otherwise you should find them good enough for daily activities. 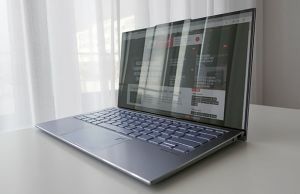 The QHD+ variant is of course sharper, but the FHD panel is sharp enough on a 13.3-inch diagonal, a little brighter and deeper, and overall just the smarter pick for your money. 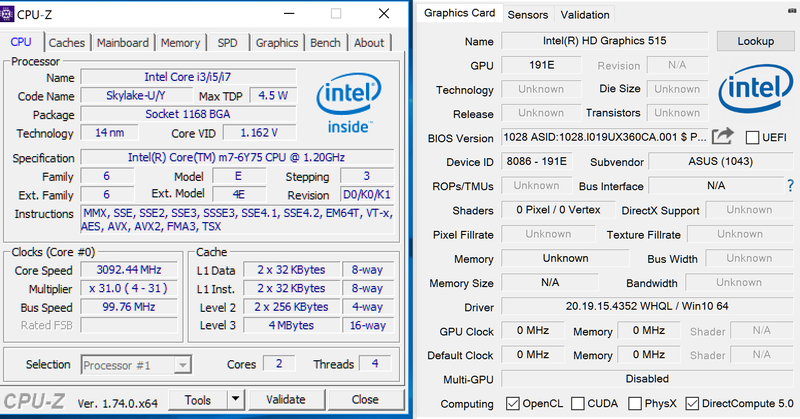 As mentioned earlier, we got to test a higher end version of the Skylake generation here, with a Core m7-6Y75 processor, 8 GB of RAM and 512 GB of SSD storage, alongside the QHD+ screen. 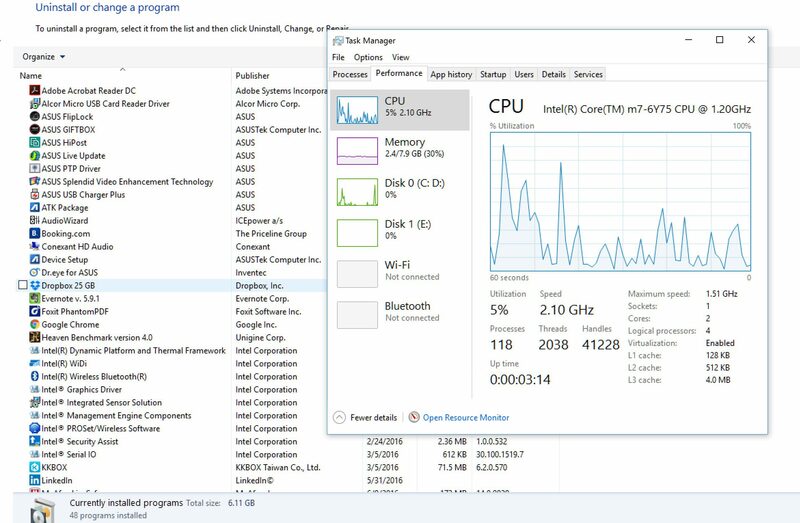 However, the unit I recommend getting comes with a Core m3 processor (Skylake or Kabylake), 8 GB of RAM and either 256 or 512 GB of SSD storage. 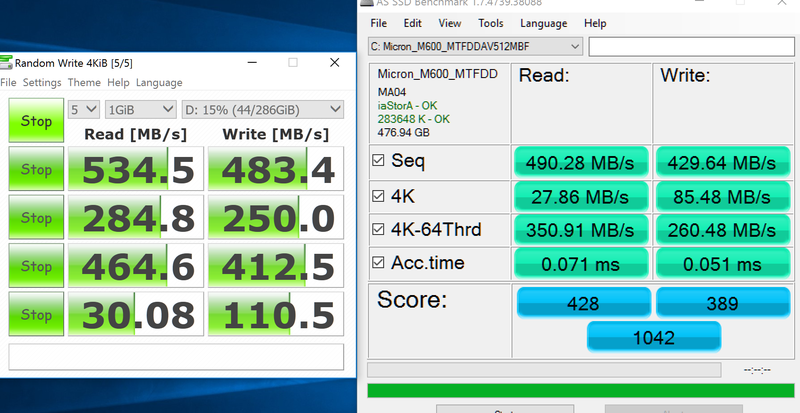 It’s going to be a little slower in daily use and multitasking than the m7 here, but at the same time run more efficient and cooler. 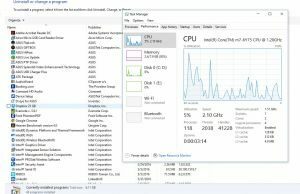 And at the end of the day, you shouldn’t pick a Core M computer anyway if you’re after a solid performer, as this platform can cope well with daily activities and light tasks, but cannot handle demanding chores or gaming, unless you’re running really simple titles like Minecraft or very old ones. 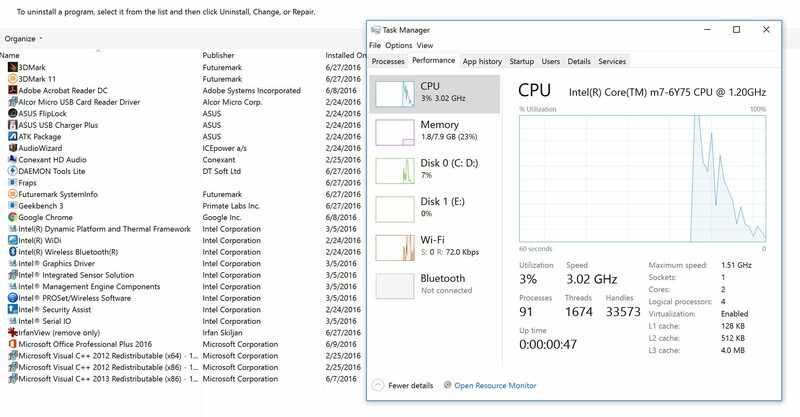 The CPU and RAM are not upgradeable on this laptop, but the storage is. 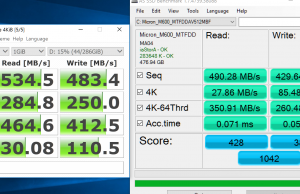 By default the computer comes with an 80 mm M.2 SATA SSD, and higher-speed PCIe drives are not supported, so my advice is not to bother with upgrading, especially since getting to the drive is a tedious task. You need to unscrew the Torx T5 screws on the belly, the extra two Philips screws hidden behind the rear-rubber feet and then pop-open the back with plastic priers. It’s going to take effort and patience, this is one of the most difficult to open computers I’ve tested lately. 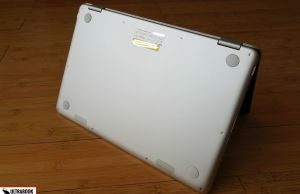 Keep in mind it opens from the inside (the keyboard and palm-rest can be separated from the main chassis), but there are two ribbons that connect the keyboard and the touchpad that you need to disconnect before you can actually take the keyboard-deck out of the way and get to the SSD. You’ll find a disassembly guide and pics of the internals over here. Anyway, in order to get the best performance this Zenbook is capable of delivering you need to get rid of the bloatware that comes preinstalled. The pictures below will show you what I keep and what I don’t. Once that’s done, you should find that the UX360CA provides a solid experience in daily tasks like browsing, watching movies or clips on Youtube, listening to music, editing documents, chatting with your friends, etc. You should try to keep multitasking at bay though if you don’t want to run into occasional hiccups and sluggishness. On the other hand, like mentioned before, demanding chores are out of this laptop’s league, both because the hardware platform is not meant for such activities and because the CPU actually starts throttling once it reaches temperatures of around 80 degrees Celsius. That however is not a concern in daily activities. 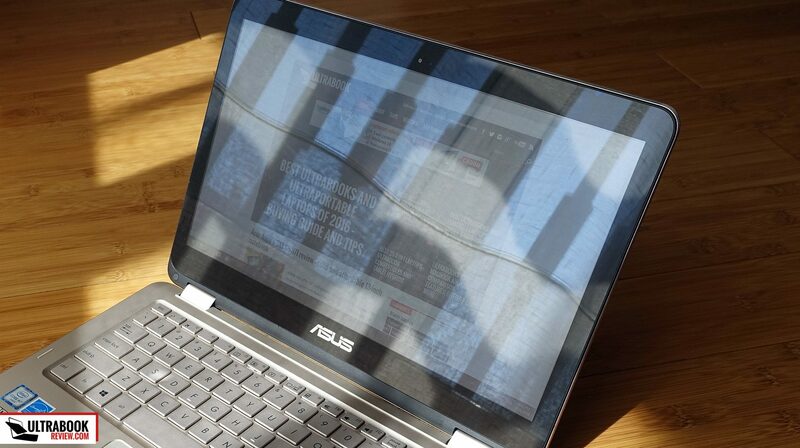 And that’s because this laptop doesn’t get very hot while looping videos or browsing, reaching maximum case temperatures of up to 40 degrees and inner temperatures of 65 to 70 degrees. Again, be aware that’s for the Core m7 configuration, the Core m3 options are going to run cooler, both on the inside and at case level. 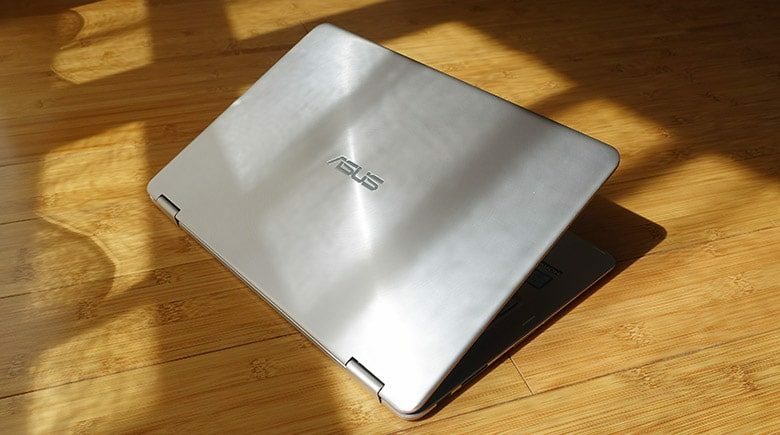 The Zenbook UX360CA is of course fanless, so there’s no spinning fan to hinder your experience. I did notice a slight amount of coil whining though, noticeable in perfectly quiet environments, but I haven’t seen any other complaints about this, so there’s a fair chance that was an isolated issue. 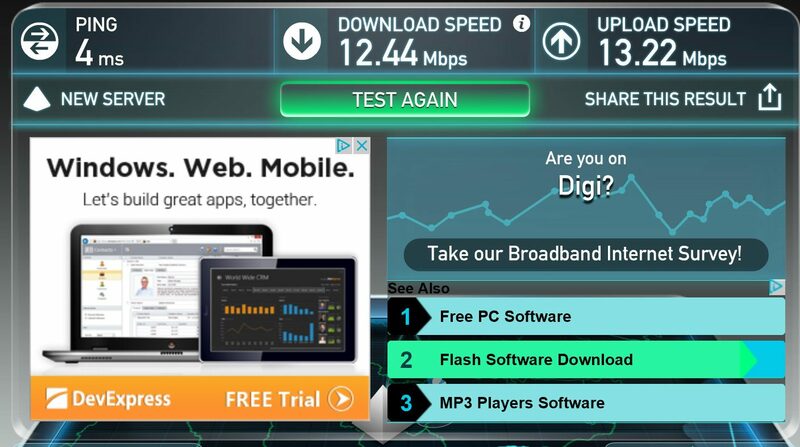 I didn’t perform a high-load test because it wouldn’t have been conclusive, since the hardware throttles in this case and the laptop is not designed for heavy-usage anyway. When it comes to connectivity, there’s Wireless AC and Bluetooth 4.1 on this Zenbook. 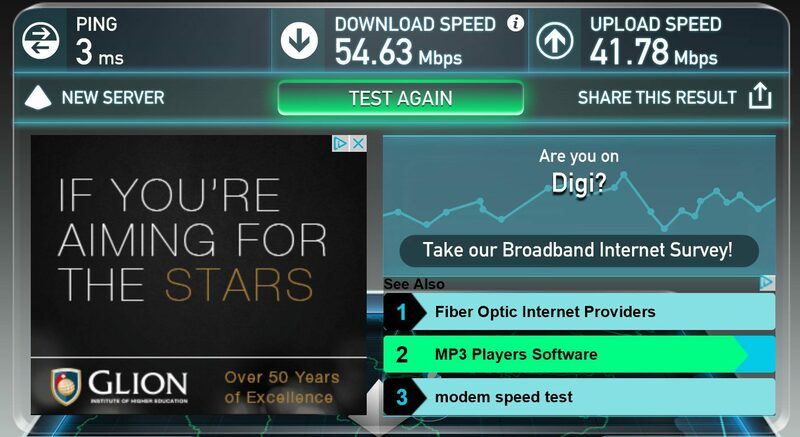 Asus went with an Intel 8260 TriBand wireless chip on our test unit, which performed well as long as I stayed within 10-15 feet of my router, with no disconnects or any other issues whatsoever. 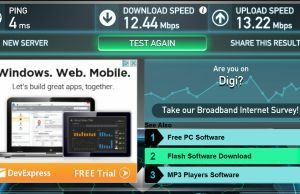 On the other hand, at 30 feet with 2 walls in between the signal strength and speeds drop significantly, so if you have dodgy Wi-Fi signal in your place, there’s a fair chance this laptop will struggle. 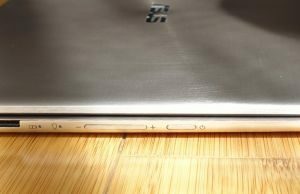 I’ve read quite a few complaints about the laptop’s speakers, and they’re actually not that bad. Yes, they are not very loud, I was only able to measure 86 dB at head-level in my tests, but they sound mostly OK with the Music profile selected from the AudioWizard app. 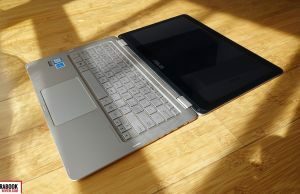 However, due to the laptop’s shape and their placement on the bottom, the speakers are easy to obstruct, both when using the computer in the lap or on a flat surface. In the latter case, there’s only about a millimeter of space between the actual speaker cuts and the surface on which the device rests on, which creates distortions. 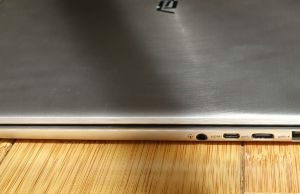 The speakers are usually placed on a rounded part of the belly on other Zenbooks, on this one they’re on the flat-part and that’s the reason they sound muffled. If you flip the laptop over into the Stand or Tablet modes, you’ll actually find these speakers much richer and louder, with nothing obstructing the sound coming out of them. 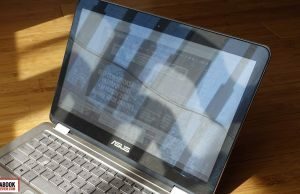 Bottom point, the speakers on the Zenbook UX360CA are at least half-decent, but due to their positioning the audio quality suffers in most use scenarios. 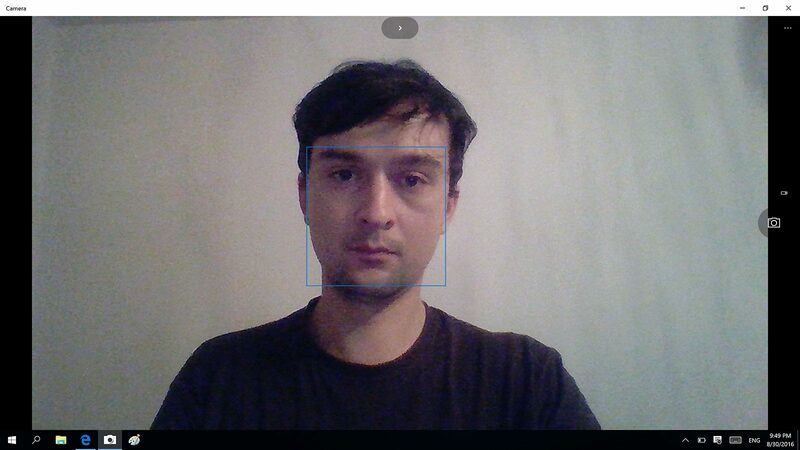 One final aspect I’ll mention is the camera, which has a wide viewing angles, but the image quality is pretty crappy, as you can see in the picture above. 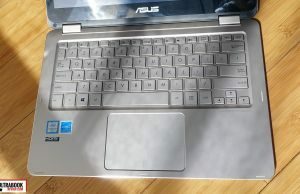 The microphones aren’t very good either, as they are placed beneath the panel, close to the keyboard, and that means they’ll struggle to catch voices when typing at the same time. 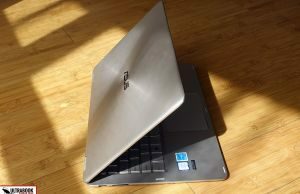 There’s a large 54 Wh battery inside this laptop and Asus advertises you could squeeze up to 12 hours of use out of it. That’s far from what we got with our test unit, which gets the Core m7 processor and especially the hungry QHD+ screen. 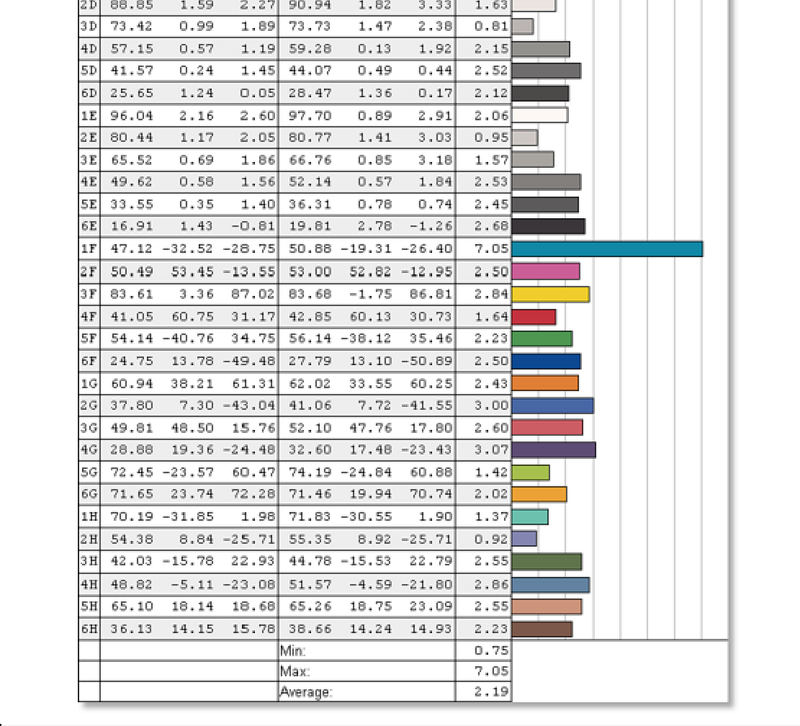 As a result, we only registered around 4 hours of daily use, 6-7 hours of light browsing/text editing in Google Drive and about 7-8 hours of looping video content. The Core m3 configuration with the FHD screen will outlast our model by 1-3 hours in each case, and based on the reviews available out there it offers around 10 hours of multimedia content playing and 8 hours of casual daily use, which is not bad. 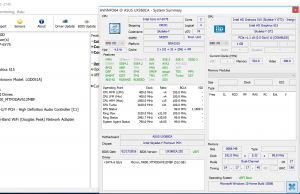 The Zenbook UX360CA is available at the time of this post with Skylake Core M hardware. In the US, the base model gets a list price of $699 and includes a Core m3-6Y30 processor, 8 GB of RAM, 256 GB of SSD storage and the FHD touchscreen, which is a great configuration for the price. If you’re willing to spend $100 extra you can get the same specs, but a 512 GB SSD, for $799. In Europe the UX360CA is more expensive. The base version (similar configuration to the one available in the US) sells for around EUR 850 in Germany and £750 in the UK. 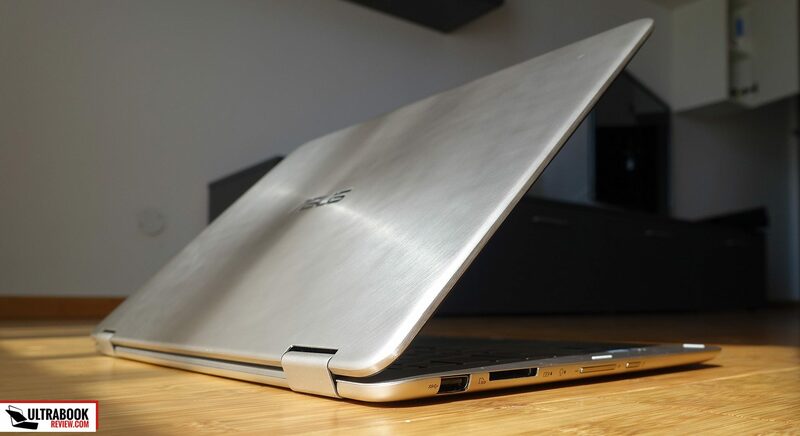 Follow this link for more details on the Zenbook UX360CA, up-to-date configurations and prices in your region at the time you’re reading this post, and also user reviews. Keep in mind that the a Kabylake update of this laptop will be unveiled later into 2016. We’ll update this post once we know more about it, in the meantime you can still follow the link in the previous paragraphs for recent info. When we draw the line, the Zenbook Flip UX360CA is a good convertible with some solid traits. It’s slim and looks nice, it types well, it gets a decent convertible screen and lasts for quite a while on a charge. However, this computer is only a good fit for those of you who don’t ask much from their machines and mostly take them through basic chores like browsing, watching movies, streaming music, maybe edit some texts and photos from time to time. If you need an ultraportable for serious multitasking and demanding tasks, this is not for you. 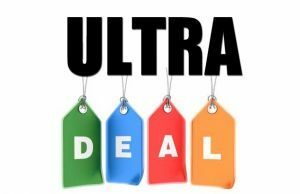 The UX360CA is especially a good deal if you’re living in the US, where the base version of this laptop is affordable and includes good specs. 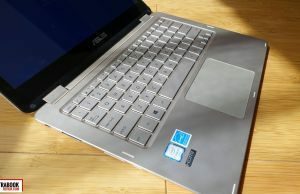 That should be enough to make you look past some of its shortcomings, like the average build quality and even the lack of a backlit keyboard, and in fact that’s why this Zenbooks gets such solid user reviews on Amazon, BestBuy or the Microsoft Store. 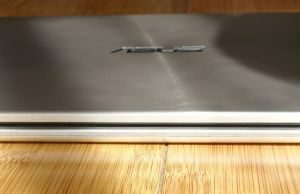 On the other hand, if you’re not living in the US or if you need a faster computer, there are better options for your money than this Zenbook, both fanless builds like the HP EliteBook Folio 11, or Core U powered units like the HP Spectre x360 or the Asus Zenbook UX360UA. I suggest starting your search with this detailed list of the best 2-in-1 convertible ultraportables available in stores right now, or this article on fanless laptops. So there you have it. 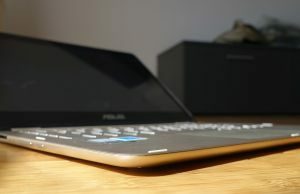 The Zenbook Flip UX360CA is an excellent buy for a fairly large segment of users who don’t ask much from their computers and are looking for a sleek and not very expensive device. It’s not for everyone though. With that in mind we’ll wrap this up here. 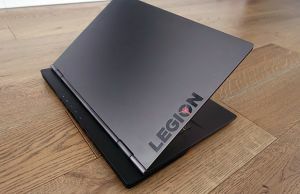 Let me know what you think about this laptop in the comments section below, and get in touch if you have any questions, I’m around to help you out. OK, this is $500 at the Microsoft store and on Amazon. The Acer Spin 5 (with i5) is also $500. I only occasionally use Illustrator, 95% of the time I'm in chrome with 10 tabs open, watching movies, doing browser-based stuff. Which would you recommend? The Swift 3 is also on sale, haha. Yikes. That seems to be the best choice, I suppose. Thanks for the feedback!